Tucked away in the heart of Manhattan, this hidden gem was established as a boutique studio promoting complete wellness: Body, Mind, and Soul. With the best in the fitness industry, you can choose from a variety of group classes including Yoga, Zumba, Pilates, & More; and one-on-one sessions including Life Coaching, Nutrition, Restorative Meditation and Personal Training; along with events, seminars, workshops and certifications. 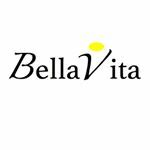 BellaVita was created with the concept that fitness and living a healthy life should be fun! Wellness goes beyond working out and looking good; rather, it emerges from the inside, out. The BellaVita Wellness Center provides a haven for New Yorkers and tourists to relax and enjoy staying active in a judgment-free, welcoming, and uplifting environment. At BellaVita, our main focus is our client; the individual. We embrace that everyone is different. When it comes to wellness there is no "one size fits all." Our mission is to encourage a healthy lifestyle by providing you with all the tools necessary for complete wellness from the inside, out. Offering customized programs, we aim to meet our clients’ unique needs & goals for a healthier now. («Home of the Total Wellness Program») Our studio is small in size, big in quality and value! Demographic data for @bellavitaworld's audience is available for free to influence.co users.